An HTML tag containing, logically enough, the title of the document. It is located within the <head> of the document and is not visible within the document. It is displayed in the title bar of the web browser when viewing the page and is typically used by search engines as the headline of results snippet on search results pages. Title display in search engines is limited to 70 chars. 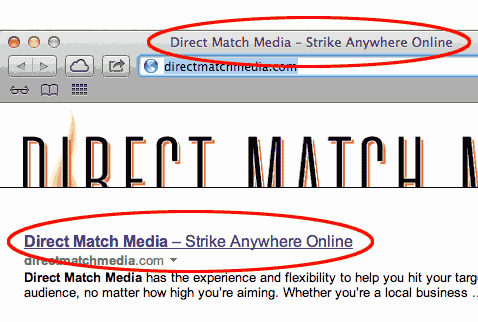 Longer title tags will be truncated in search engine results. The image below shows the title in the browser title bar and in a search engine results page.